LoMag Inventory Management is distinguished by its user-friendliness. Its appearance and its functions may be adjusted to the needs of the user. Data may be imported and exported from Excel. The printout templates may be designed with the help of a mouse in a text editor. You can also create your own labels and address stickers. 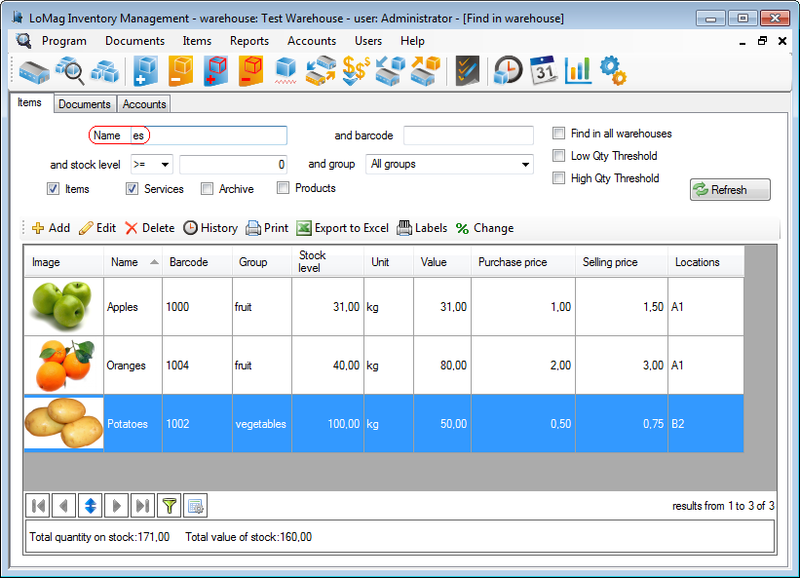 The software is compatible with barcode readers, collectors and label printers. There are no limitations to the number of warehouses, items, accounts and documents. Comments: LoMag is very easy of use software.